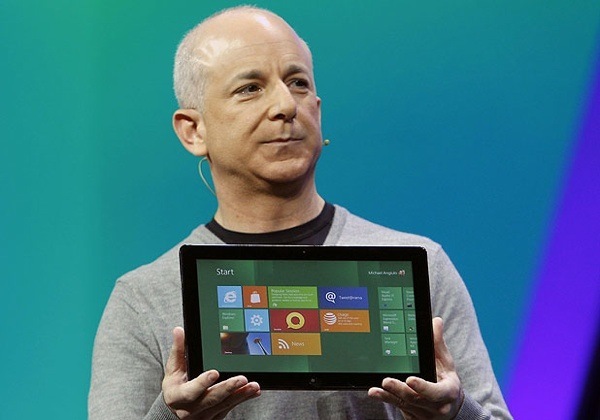 In a rather surprising move, Steven Sinofsky, head of the Windows division at Microsoft, has decided to leave the company. This move comes shortly after Microsoft's biggest launch in years and a product Sinofsky directly worked on. He will be replaced by former Coporate Vice President of Windows Client - Julie Larson-Green - effective immediately. Sinofsky joined Microsoft back in 1989 and along with working on various versions of Windows also oversaw the development of Microsoft Office. He also worked as a technical adviser for Bill Gates back in the day. "It is impossible to count the blessings I have received over my years at Microsoft. I am humbled by the professionalism and generosity of everyone I have had the good fortune to work with at this awesome company." Even Steve Ballmer, CEO of Microsoft, had nice things to say about Sinofsky in his letter to his employees. However, it seems all was not peachy within the company when it came to Sinofsky. According to the sources at The Verge, Sinofsky was dubbed as abrasive and hard to work with and not a good team player, putting the interests of his own department over anything else. It seems he wasn't exactly fired, but a lot of people within the company would be happy to see him go. This sounds very similar to the recent departure of Scott Forstall from Apple, who also exhibited similar characteristics. Sinofsky didn't clarify on what he will be doing next, other than saying he will leave the company to "seek new opportunities that build on [his] experiences". We imagine he and Forstall must be on a beach somewhere sipping piña colada, along with Jon Rubinstein.